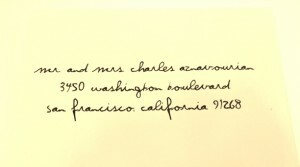 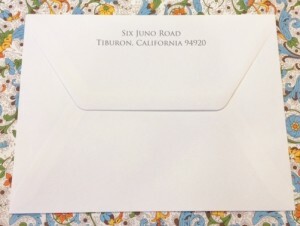 Calligraphy: Return Address Printed on the Envelope Flap This beautiful return address printing was done for our client’s Italian Wedding Invitations! 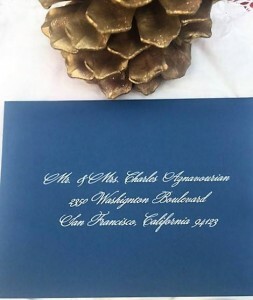 We also addressed the Wedding Envelopes with the Guest Addresses, the Wedding Menu Cards, Wedding Table Cards, Wedding Itinerary, and the Wedding Program/Jewish Wedding Traditions! 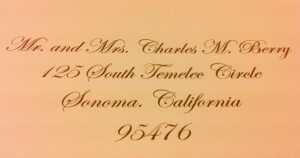 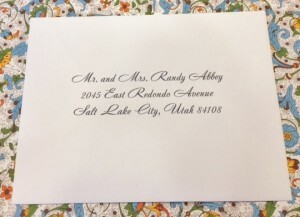 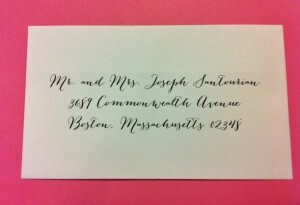 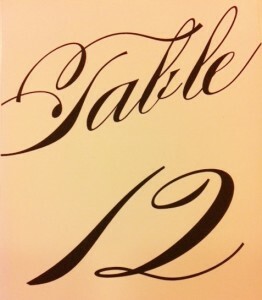 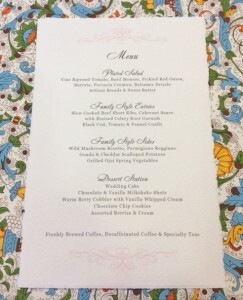 Congratulations from Hyegraph Invitations & Calligraphy!